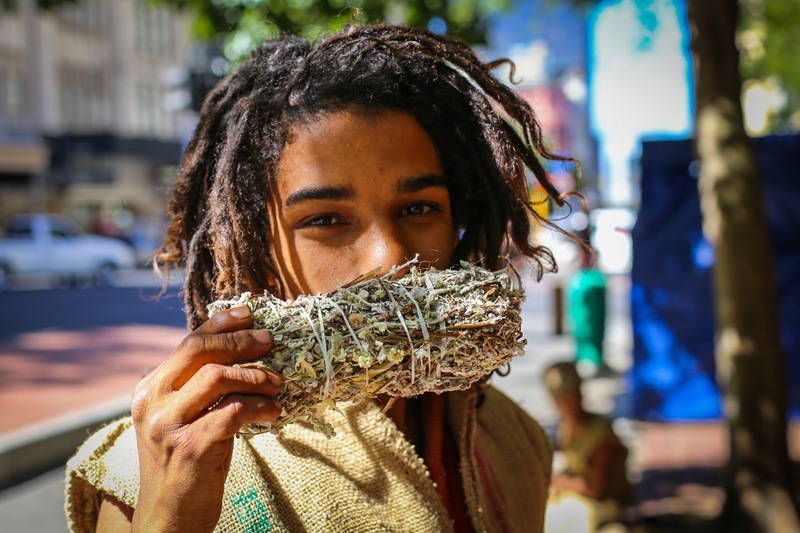 Please meet Koerie, a 19 year old and a very dedicated mountain ‘doctor’ selling herbs on the streets of Cape Town. A while ago as I was looking for a spot in the winter sun to sit, I pass by these two guys with a very interesting looking stall on the pavement of the Company Gardens. We started chatting and soon I realised that they collect most of their produce in the wild and that Koerie, as his friends calls him, knows the medicinal properties of each of these bundles of plants. There is a natural cure for everything under the sun he reckons. Next thing he took out a file with photo’s of all of his family. Although he lives in the mountains he does love his family very much but sees his higher calling to be a sack man as way more important and gladly shared his believe system with me. He calls me sister and quotes the Bible. His favourite principle is ‘if you live your live for others you live a-gain, but if you live your live only for yourself you will live in vain’. Not only does this nineteen year old bare foot sack man knows his plants but he makes his own oufits too and he carries with him photo’s of these different designs. He even tailor his coats to keep him warm in the winter. 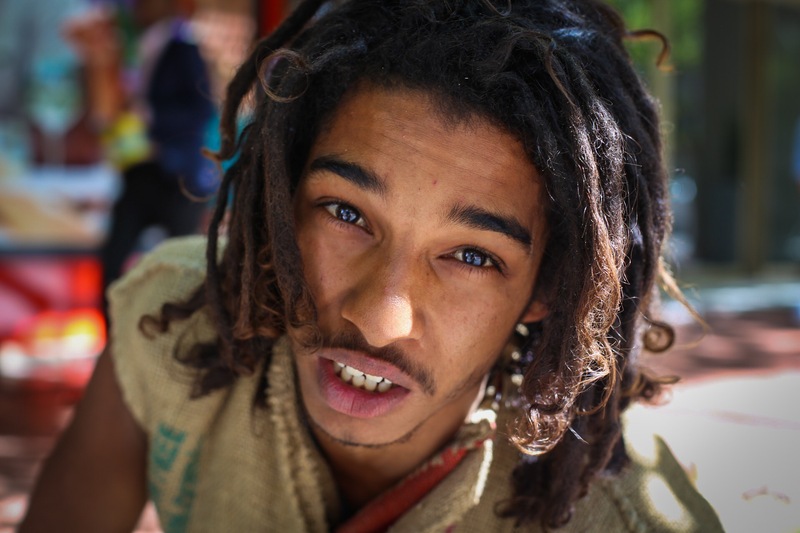 For me this is a beautiful talent, but for him there is special religious significance to his outfits made from sack cloth. Although they are very happy having their stall on the floor, all they might actually need is a table or two, a gazebo and a legal permit. If you have a few minutes to spare and want to meet these guys, you can find them either on the main path in the Company Gardens or close to the Tops on Adderley street.